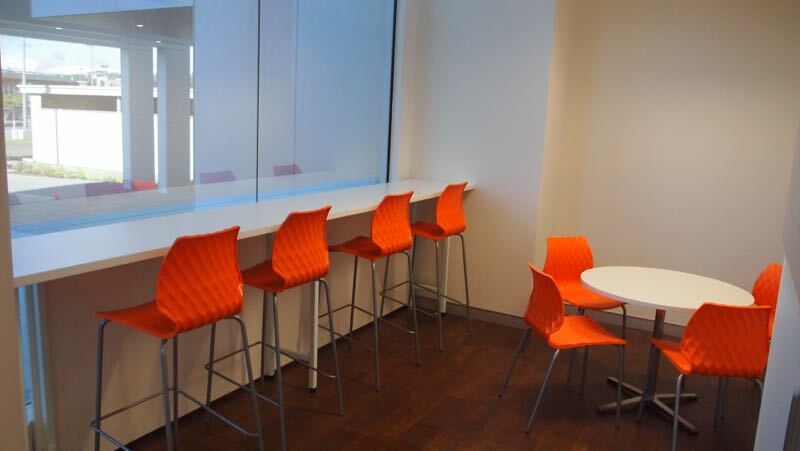 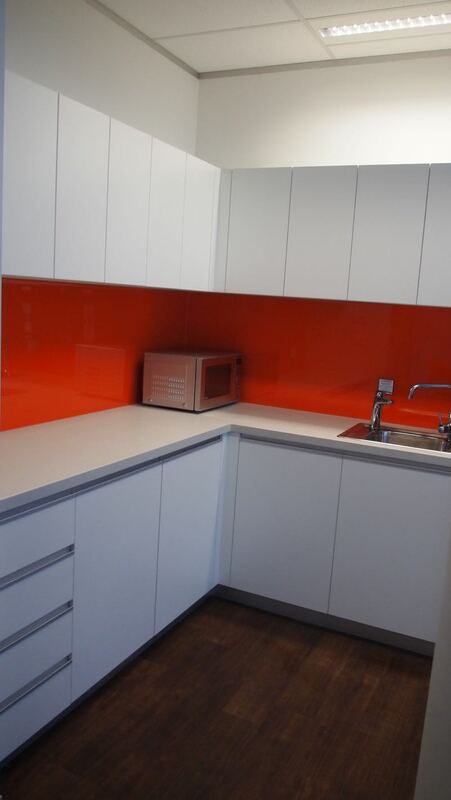 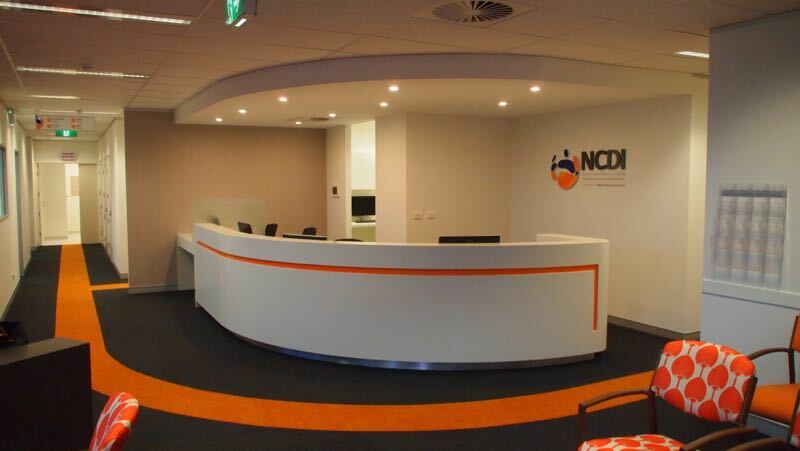 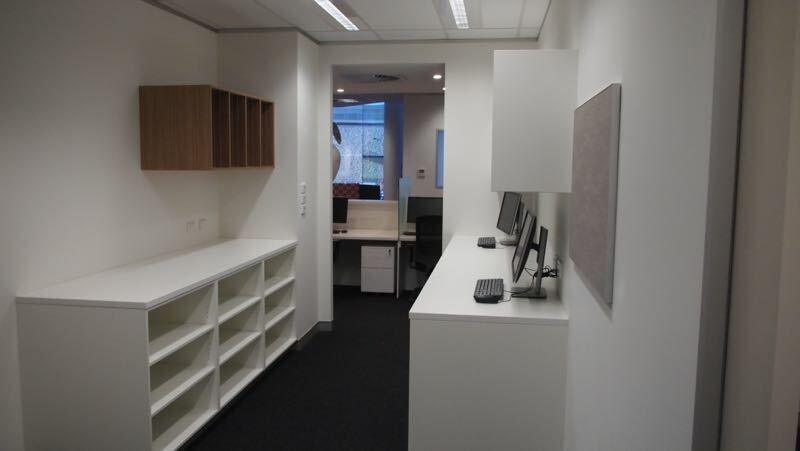 I-Med Network Radiology fit out was a challenging yet vibrant project. 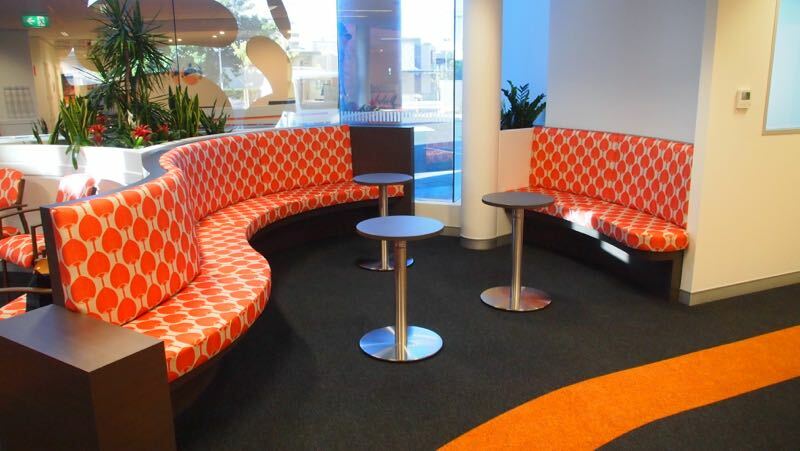 Brightly coloured curved booth style seating, curved Corian feature reception counter, kitchenettes finished in Laminex and Zenolite acrylic splash backs. 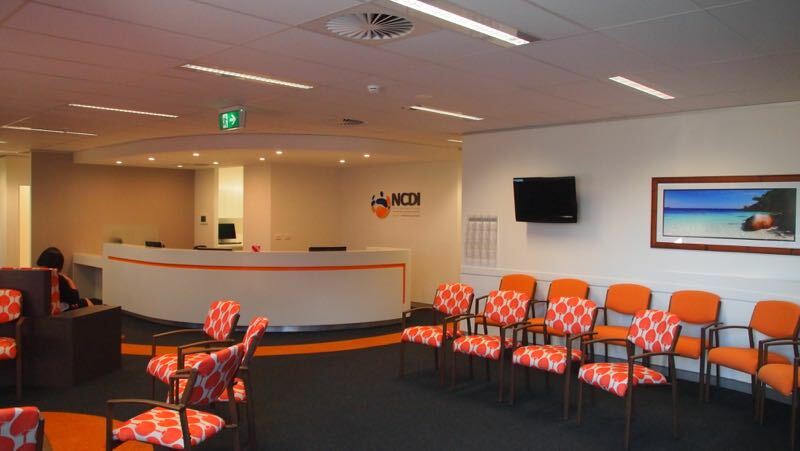 The bright finishes and curved lines create a welcoming waiting room for patients.